Seeing and being seen while cycling is a constant battle. Not only at night, but in the daytime as well. There are two different needs going on here. At night we need to see as well as be seen, but in the daylight, we really want to give the best shot we can at having motor vehicle drivers see us while we are on the road. 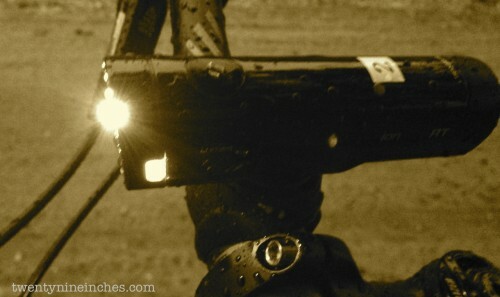 I am constantly surprised how many road bike riders do not use a good blinky system, front and rear. 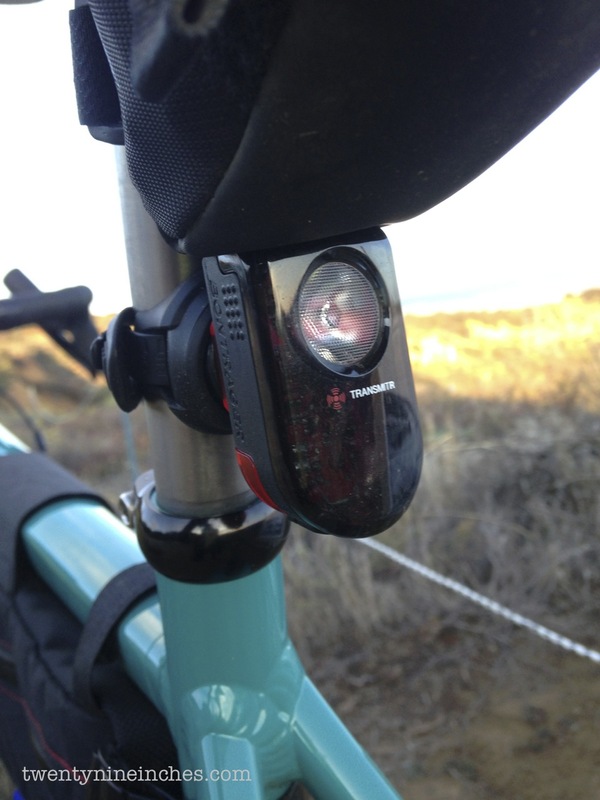 I seldom ride without a front flashing blinky (clear light) and a rear flashing light (red color), and for years now I have been using the Lezyne Zecto Drive in a front and rear model. They offer a fairly strong strobe that lasts, at the most, 8 hrs, and they are light and compact. But they are just about worthless at night to see anything by, not that this was the intent of the product. 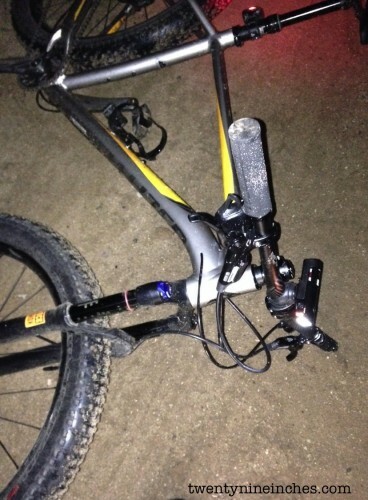 But for me, actual night riding meant I used a real light, not a pretender light, so I would ride with a more elaborate lighting system using a separate battery pack and dual beams, fine for MTB trail riding, but overkill for road use, gravel rides, or commuting. And it made a lousy blinky. 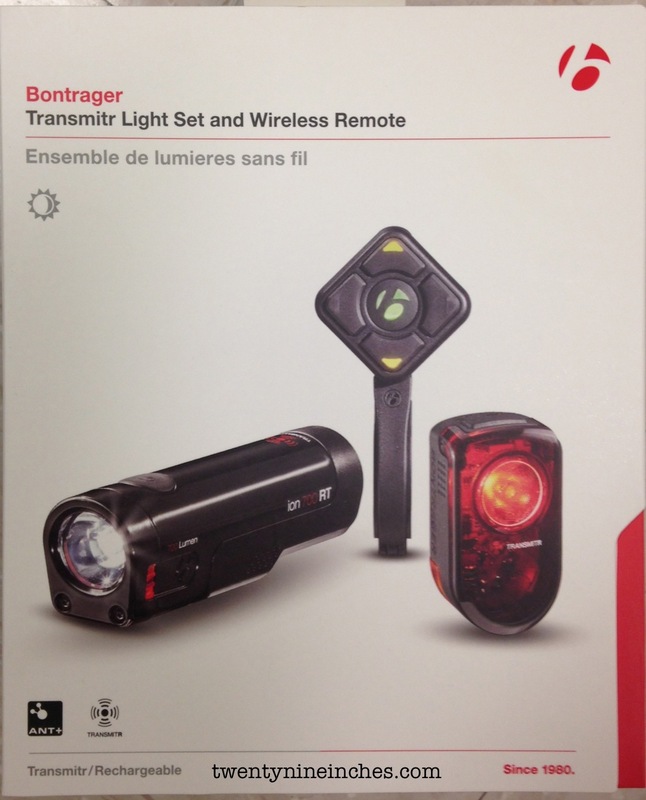 But now we have ‘All-In-One’ light systems like this Bontrager Ion 700 RT and it’s rear partner, the Flare RT taillight. And the neat thing about this type of light is the promise of a simple, compact light source that can be all you need for daylight and night use, at least allowing for some limitations. If I could have it all in one light set-up, both daytime and nighttime, both road and off road, both blinky and to see by…well that would be swank. And to tell you the truth, I have come pretty darn close with the Bontrager Ion 700 RT and Flare RT set up. What I have to review is the box set of one front Ion 700 RT, a rear Flare RT, and one extra Ion 700 RT with a helmet mount. And a wireless remote. Yes, I said remote. That really had me curious and I have to admit that I was a bit skeptical. Now we have wireless everything…shifters, dropper posts, suspension systems. So I really wondered if this was just ‘fooffery’ for the sake of the ANT+ Bandwagon. It turns out not to be the case, actually, and that is pretty cool. More on that later. In the box, for $259.99, is one Ion 700 RT, a Flare RT, a wireless remote (integrated bracket included), a charging cable (USB), and a fairly inadequate booklet on how to use the thing. I do not see a link to this product as I received it, so maybe it is new for Bontrager (note…look for this at some point on a revised Bontrager website). I am going to address the individual products, then sum up as to how they all worked. 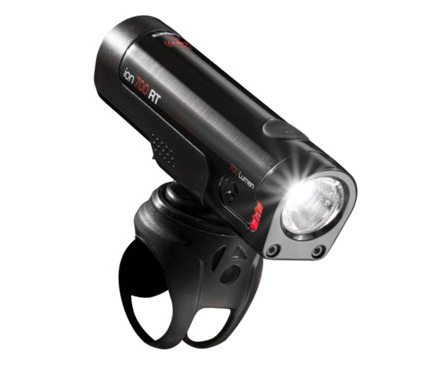 Ion 700 RT – $139.99 – Daylight visible with power to light any path and wirelessly controllable with the Transmitr remote, the Ion 700RT packs the brains and the brawns to light up any ride. 700 Lumens (one way to measure light output rather than in watts..it’s an LED thing, apparently) is not bad for a do-all light running on high. 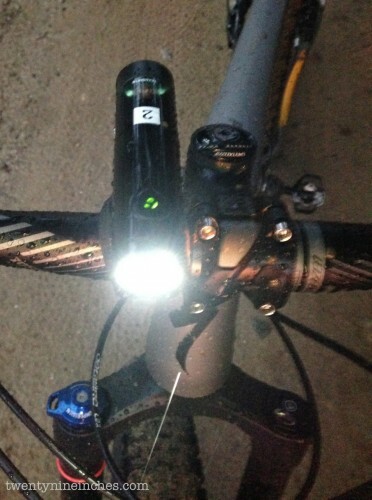 My dual beam, homemade MTB riding light is throttled back to around 1000 Lumens or so. But equally as important than the Lumens rating is the quality of the light beam pattern. get that wrong and the light might be bright, but hard to ride with. There is a small button on top the Ion 700 RT that powers it up and down, changes modes, and shows you battery state. The charging port is sealed and underneath the light. The battery is not replaceable (but is rechargeable, of course). The mount is a rubber strap dealie that adjusts for bar diameter and allows for panning left/right. The Ion 700 RT looks like a quality item. There is no external accommodation for heat sink fins, etc. LEDs give off quite a bit of heat when they are running at high levels. 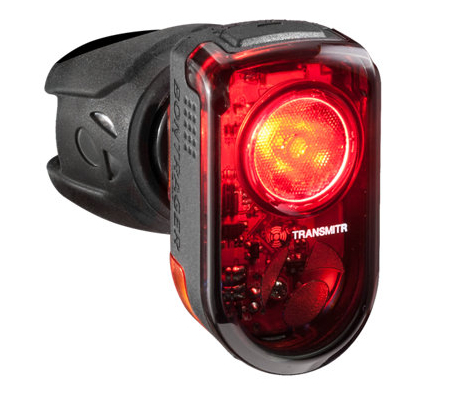 Flare RT – $79.99 – A tail light from the future, the Flare RT is ANT+ enabled for the simple brilliance of Transmitr wireless control and boasts 65 Lumens of 270 degree daylight visibility for safety. 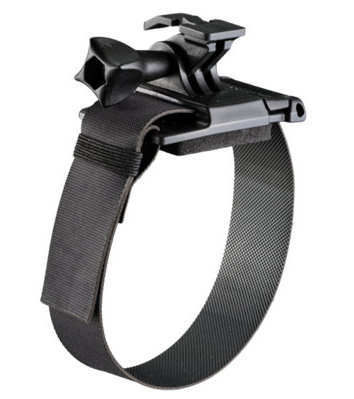 Packaged with three mounts…one for the seat post, angled to orient it into a driver’s line of sight, one for a seat stay, and one as a clip to attach it to a tool bag or back pack, the Flare RT has the power/mode switch on top where it is easy to get to and a hidden charging port. Here is a video that shows what we are up against out there on the road, as if we did not know. 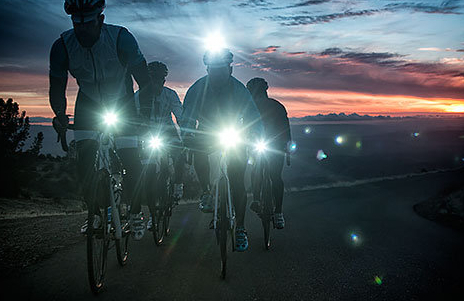 Bontrager thinks enough of this light to give it it’s own web page…right here. Transmitr Remote – $69.99 – The Transmitr Remote wirelessly controls up to seven Transmitr ready devices. It easily attaches to any bike’s handlebars for convenient on the bar control of all Transmitr lights. A nice metal bracket with an adapter for bar size is included. 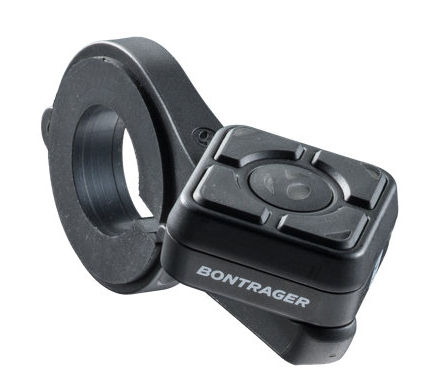 Helmet Mount – $24.95 – Add the safety of visibility to your helmet and light up the trail, road, or commute with help from the Bontrager Helmet Mount. Rain rides were no issue. The number on the light allows me to tell them apart for charging and knowing which remote button they were paired with, etc. Ok…let’s get out and use this stuff. I used these products in a variety of conditions, both road and off road, and Mrs. Grannygear took them out on dark, early morning road rides with her group of cycling ladies. I used them in combo, one light on the bars and one on the helmet, or as a single light on the bars. I used them with and without the remote. The wife always used one single Ion 700 RT light on the bars and the Flare uber-blinky at the rear and never used the remote. 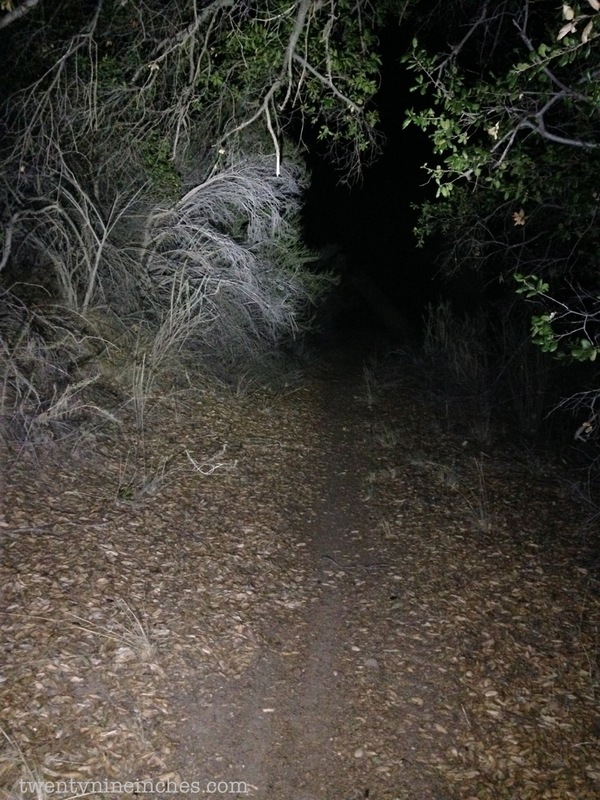 The beam pattern is very even, broad, and is very rideable, especially off road, even on winding trails. It lights up the top of my front tire and to the sides, even when pointed ahead. I see no artifacts or odd fringing and the color temp of the LED seems to be a bit to the warm side rather than bright white tending towards blue. I think that is nicer on the eyes and better for seeing detail on the trail. Combine an Ion 700 RT on the bars and one on the helmet and you have a lot of usable light on hand. The light output is very adequate for most uses and you have a choice of many modes and power drive levels. I never pushed any light till battery failure, but I did do a few 90 minute night rides where I ran on Med 70% of the time and High the rest. The run times seem reasonable for the type of light and the type of user this would appeal to. I did have it in the rain and that did not phase it. The clamp is pretty good, being a rubber band type and it does not drop the tip of the light down or move out of place, even on tough trails. The helmet mount was good as well. The mode button on the light requires a very light touch to affect a change. 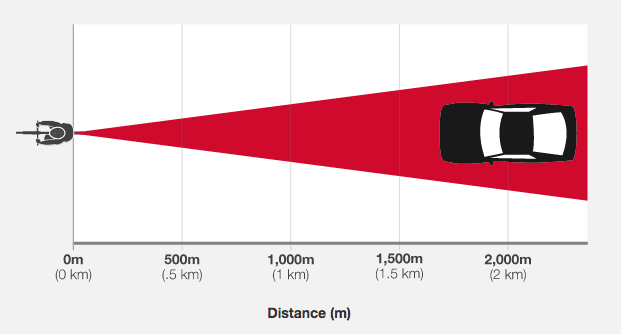 If you are riding fast road rides, like over 25 or 30mph at night, well, you might want a light with more ‘throw’ in the beam pattern; more of a spot beam than a flood beam. I never out-ran the light but I could see how that could happen. 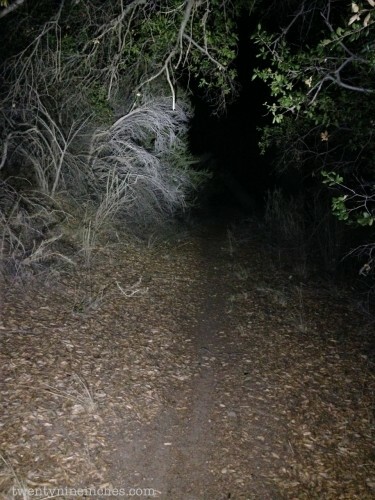 The pic below that shows the beam on trail does not do justice to the way the beam carries forward, but I use it to show how the light really has a wide swath of light to ride by. UI: User Interface. OK…big bone of contention here and it is an issue I see with a lot of lights, and it is ESPECIALLY annoying on ones meant for off road use. If I begin with the Ion 700 RT on High and go to Med or Low, I have to wrap all the way around again through two flashy modes to get back to High. That, offroad, is a real bummer. On the road, you are more likely to pick a light level and leave it there, but off road, you do NOT want to do long climbs or just noodle along with the light on high, both for battery life and for ‘Night Blindness’. Night Blindness being defined as where you get so used to seeing the light on High all the time, like when you are just poking along, so when you speed up or hit some techy sections, your light does not seem bright anymore and High becomes perceived by your brain as not enough for the situation. I would love to see a way to force the light into a non-flashy mode for MTB use and that is still only a half-way great solution. Now the remote deals with this, sort of, as we shall see, but then you need to buy the remote to have that work for you. The clamp, while secure and easy to use, is a bit wiggly side to side. This is due to an ability to angle the light by forcing it over some detents in the internals of the bracket. So if you have odd shaped bars or the light is way off the side and not pointing straight ahead, you can *click* the light to make it so. On-road use, this slight wiggle is not a big deal. Off-road, it is a jiggle monster and will make you sea sick. So I inserted a thin, toothed washer between the two pieces of the clamp so the internal screw would bind it together solidly. It means I cannot adjust the light angle side to side on the fly, but I don’t need to do that and I can always take the washer out if needs be. The LED that is built into the button on the top of the Ion 700 RT is green until it gets to 25% battery run time, then it goes red. Well that is better than nothing but only a little bit. Give me at least a way to know when I am below or near 50%. Otherwise I could be at 26% and think I am ‘Green Means Go’. Or I will be paranoid and just charge it more than need be to make sure I am topped off and not near the cliff. And I understand that the light cannot be serviced if the battery goes bad outside of the warranty period. Batteries only re-charge so many times…cycles they call it…and just because it is 5 years from now and the battery poops does not mean the light is not still very functional otherwise. The run time may not be what you need for truly long night rides, but if you are doing serious night time epics, you are not looking for an all-in-one light like this anyway. Flare RT – The Good. Enough modes to make most anyone happy. Bright…like supernova bright. Looking at the Flare on either high or bright strobe from 30′ away at night left spots on my retina. Wow. Honestly, nothing I can think of except many might think 80 bucks for a blinky is a bit steep, but this is way brighter (and smarter) than a normal blinky. The Remote – Is this worth it? How does it work? Do I want one? The remote is actually very, very cool and does things for you that, depending who you are and your needs or preferences are, could be a game changer. It easily pairs via ANT+ with all the lights here, including the Flare RT rear light. It comes out of the box paired with the lights in the kit, but I actually went through the process of re-pairing them and adding a second Ion 700 RT. I also re-clocked the remote so that the bracket faced towards me on the Warbird’s drop bars, not in front of the bars as you can see in the pics. The bracket is metal and well made and adapts for bar diameters. I set it up so that the top (as seen from the saddle) small button ran the bar mounted front light, the bottom small button ran the taillight, and the right button ran the helmet mounted light. Pressing each of the four corner buttons will affect only the light they are paired to. They can be powered up and down individually as well as shifted through the modes. The center button acts globally and will power on or off all the lights at once. I cannot remember how many times I have stopped on a road ride with the group, say for lunch, etc, then taken off and forgotten to turn on the blinkys requiring me to either stop and address that situation or fumble while riding to try and get them where I want them. With the remote I can just hit the center button for ON and then shuffle the corner buttons to get each light where I want it (the lights come active in the state they went off, so typically I would just need to power them up and be done). As well, you can run the helmet light with it instead of trying to fumble and find a light button on top of your helmet with gloves on. Say you roll up to the group and want to shut the lights off so as not to offend. 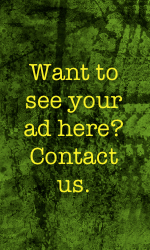 It’s a simple one button deal. Also, off-road (or on-road for that matter), what you can do, which is very cool actually, is set both Ion 700 RTs on High, then turn them off. Turn them back on with the center button then a quick press and release will dim them one level and another quick press and release gets them back to High. It actually is very functional. But not perfect. For instance, if you have more than one bike, you can easily move the light brackets from bike to bike but the remote bracket is not so easy to move. Tiny allen screw, etc. Now if the remote could be detached from the bracket, then I could buy multiple brackets and just move the remote button dealie. 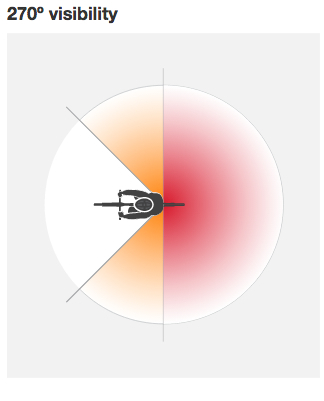 As well, if I was riding off road and I tried to change the mode of a light with one of the individual corner buttons, then it took more dexterity than I could manage. Pinching the button between two fingers while riding in the dirt would result in a *clicky-clicky-clicky* moment where I would bounce through three or four modes instead of one. 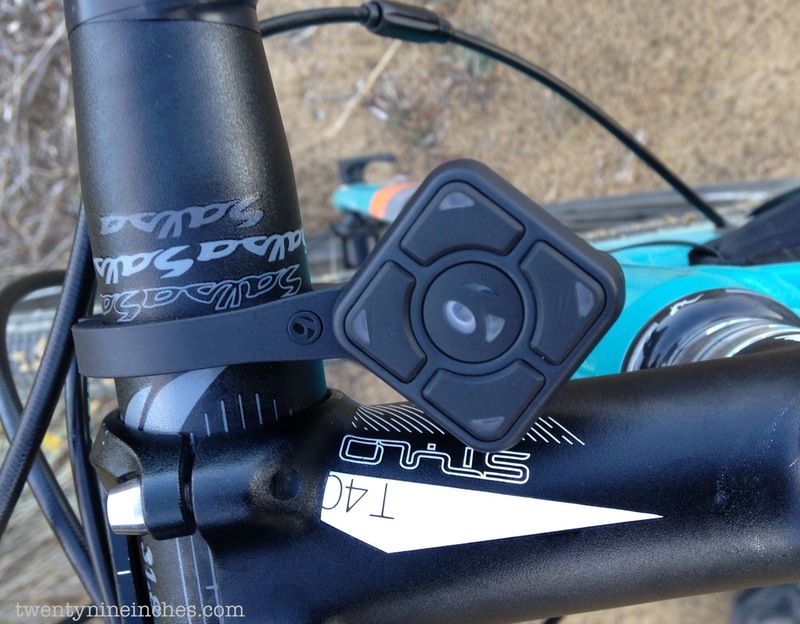 I would like to have a simple One Big Button option that would pair with multiple lights but no more than two…a simple bar mount on a rubber band with a large, single button. It would turn things on and off and then do the dimmer deal and that is all. That would be great for off road IMO. I used the helmet mounted light together with the bar mount, mostly on gravel bike rides where I was moving fast enough to really want to look around the corner at speed. I also used it off road where it was sweet on twisty stuff. But actually the bar mount alone with a single Ion 700 RT was quite good for moderate riding, both road and off road where I live. Running the bar light on High and the helmet light on Med was the killer app for the most usable light. 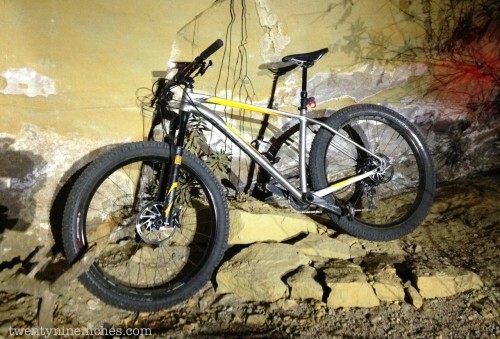 Out sampling some night life with the Ion 700 RT and Flare RT combo on the Specialized Fuse. Overall, I really, really like the lights, especially the blend of Lumens and the very rideable beam pattern. The remote is very useful, although honestly I will most often just grab one front light and the laser beam Flare and just go ride. Give me a more customizable UI (user interface) to do a run around on the blinky modes and a better battery monitor and it would be step up to truly great for all around riding, both on and off road. Note: Bontrager provided these products at no charge to Twenty Nine Inches for test and review. We are not being paid, nor bribed for these reviews and we will strive to give our honest thoughts and opinions throughout. I have the Flare R tail light (not needing a headlight). It is perfect in nearly every way, as you noted. If I could change anything, it wish it plugged directly into a USB port, instead of needing a cord. But it’s a “small” wish. I have the non-remote versions of these lights. The rear is truly daylight visible. Quite a bit brighter than my Planetbike Superflash usb. Will the remote fit next to the grip so you can keep your hand on the grip while pressing buttons? @Farmall Dave…well you can see how that slim metal clamp is, sort of like a Garmin mount is. I suppose you could do that if there is room for the clamp. It is pretty easy to hit the main button ‘on the fly’ but the little ones, not so much.